Arriving at Florence Airport what is most econonomical way to travel to city. 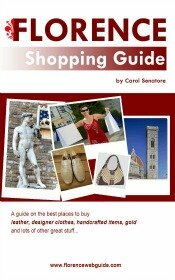 Could you please advise us, when travelling from the airport in Florence what is the best way to get to Duomo Venezia Street Florence, Tuscany with luggage. What would the locals do. We appreciate your response. Thank you.